So many women (up to 50%) suffer with hot flushes, these are usually attributed to the changes that our bodies go thru when we reach menopausal age. Changes in hormone levels (increased Gonadotropins) can cause night sweats and day time hot flushes in addition to other unwanted side effects such as disturbed sleep, depression and headaches. Not much is actually understood about the aetiology of hot flushes, Western medicine believes that an increase in Gonadotropins is to blame. These are vital to the normal function of our endocrine system which is responsible for growth, sexual development and our reproduction functions. There are other explanations which involve the hypothalamus, which is the part of the brain that controls temperature. It is thought that when hormone levels drop, as part of the menopause, the hypothalamus wrongly thinks you are too hot sending more blood to the skin and causing the body to sweat to cool the skin down!! In Traditional Chinese Medicine we look at these symptoms slightly differently, whilst acknowledging that this decline in the bodies’ resources is a natural part of a women’s life. The bodies energy (Qi) and Blood are no longer needed to power reproduction and instead are concentrated on maintaining vitality into later life, this can sometime cause an imbalance which needs assistance to right itself. Therefore when problems with menopause start it’s usually rooted in a Kidney Deficiency issue. By strengthening the Kidneys we can restore balance and reduce the number and the severity of many symptoms. The Kidneys have a cooling and nourishing action, and therefore help with symptoms such as dry skin and hot flushes. They also ‘rule the bones’ so it is vital to keep the Kidneys strong to ensure bone health and reduce the likelihood of early osteoporosis. Another area which acupuncture can help greatly with is emotional wellbeing. During a significant time of change many women experience mood swings, stress and disturbed sleep patterns. Most people find acupuncture a very relaxing experience and treatments can be tailored to encompass all of the individual symptoms that a women might be feeling. It is also important not to over exert yourself, exercise is beneficial so make sure you do some regularly, but do not over do it! Get plenty of rest and keep well hydrated. I thought I would start to share with you some details on some of the intersting cases I have been privileged to help with. Medical diagnosis: scar tissue caused by possible trauma, enlarged blood vessel underneath. An MRI found no serious issues or reasons for problem. Seeking treatment for: Painful area on upper thigh area which has a visible dip, feels stuck to underlying tissue and is gradually increasing in size. Stress & anxiety. 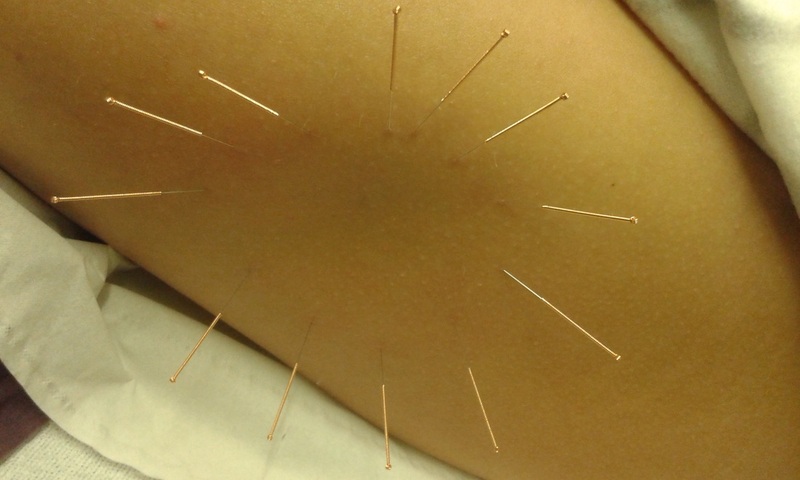 Client reported no trauma that she could recall Treatment: Using a traditional technique called 'Surrounding the Dragon' needles are place all around the effected area. Needles for moving Blood and Qi were also added LI4 and LIV3, known as the 4 Gates. After needles were left in place for 40 mins. a technique caled cupping was used. In this case a small silicone cup was moved up and down over the area for a few mins. After the 1st treatement the pain had reduced, after the 2nd treatment pain had gone completely, in the following weeks the problem area started to reduce in size, became much softer and continued to be pain free. After 5 treatments we stopped treating that area and will only return to it if necessary. So the shoe was on the other foot recently! Or should that be the needle was in the other back!! He he! What am ! talking about? Well I found myself being the patient and at a colleague’s acupuncture clinic earlier last week. I recently had a renewed bout of Costochondritis which was getting me down, and after going to the docs last year and being told to take pain killers I knew acupuncture could be more effective at getting to the root cause of the problem. Costochondritis is a very painful condition, it is where the cartilage between the ribs and sternum becomes inflamed. In my case the pain mainly occurs first thing in the morning, my whole rib cage is sore with stabbing type pains when I move, this is painful enough to wake me up and I just can’t get comfortable! The only relief is to get up, and then it gradually subsides, unfortunately sometimes this is at 5.30am!! 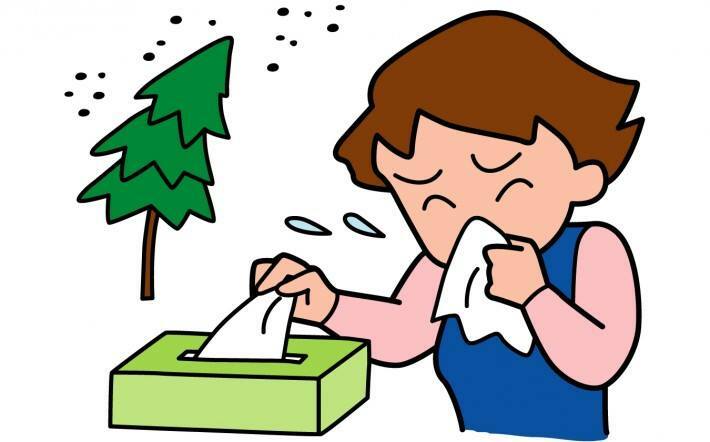 The causes are basically unknown, inflammation is the body’s natural reaction to infection, irritation or injury, so any of these factors could be contributory. In my case I couldn’t find a specific reason in Western medical terms, so I looked to Traditional Chinese Medicine for the answers. * Controls Tendons & Sinews – nourishing the tendons, any Liver deficiency or Qi stagnation will result in tendons and sinews being weak leading to numbness or the dysfunction of joints. So having ‘diagnosed’ myself (which isn’t always wise!) with Liver Qi Stagnation I wanted to get a second opinion and also being acutely aware that I would not be able to needle all the points required, I headed over to see the lovely Rebecca Geanty @ The Acupuncture Rooms. She agreed with my diagnosis (phew!) but also pointed out my general Qi deficiency, which I knew about but hadn’t factored in (this is why its not wise to treat yourself, as stated earlier!) this meant that my Kidneys and Spleen both needed strengthening as well as getting my Qi moving, to deal with the Stagnation. So after having our consultation and general discussion about how fab acupuncture was, I lay on the treatment bed and was ready to become completely relaxed. I’m not going to lie I did feel a few of the needles, but not in a really painful way, just a jolt or a sting or scratch, each one was different! Then once they were all in I was left to relax. It was great I have to say have someone else look after me for a change! In the following week I did feel a decrease in the severity of the pain and also how early in the morning I was being effected. So we are on the right path, just need to a have a few more treatments, 3 or 4 should do it I would think. This is a great video explaining what I see all the time in my clinic. Acupuncture has a cumulative effect, and is a journey which needs commitment. Its a great feeling for both client and practitioner when we start to see the results and health is restored. 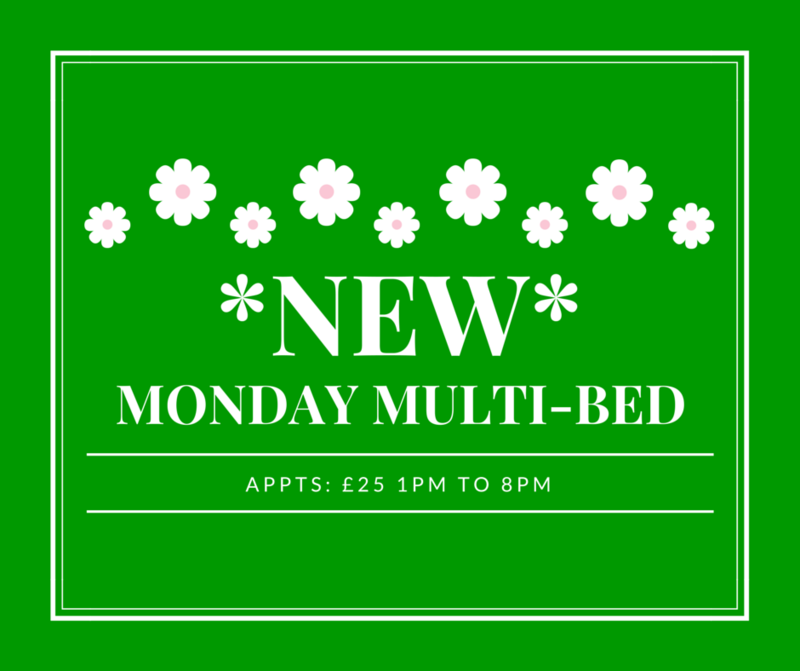 Due to the continuing popularity of the Saturday multi-bed I am now offering a Monday multi-bed. Now you can get the same great Acupuncture treatment for an affordable price right up to 8pm every Monday. Colette is amazing! I went to her and explained several issues that were effecting me... she listened and talked through how best to treat the problems areas.. much more attentively than the Dr listened I might add.. It was refreshing, however I wasn't entirely sure what to expect results wise as I had never had acupuncture before. So after the first session, I was happily amazed that one proble...m was resolved practically overnight! been to 2nd session today and working on sciatica relief now... I really am impressed and would definitely recommend acupuncture as a treatment for others in the same boat as me.. in particular I would recommend Colette at East Norwich Acupuncture.. as she really makes you feel at ease and wants to help you :-) Thankyou!! This guy knows what he's talking about! 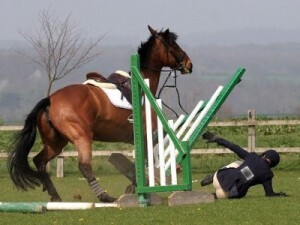 And we know as riders that riding can often take quite a toll on our bodies! Acupuncture is a natural and effect way to help the body heal and balance the systems for optimum health. Being aware of how 'well' you are can really help your horse! How many Acupuncture treatments do I need? This is a common question in the clinic and one I’m asked by almost every client. The truth is I don’t know! And to be honest it annoys me when I hear that other practitioners such as physio’s or osteopaths expect people to sign up to long treatment plans when they have only just assessed them! I don’t know how quickly or not you are going to heal, and neither do you until you have received treatment, so it would be totally unrealistic of me to say you need 3 or 10 treatments! Acupuncture has an accumulative effect, it does not work miracles in one treatment (though I have seen this!). Keep in mind how long you have had the condition and how severe it is, a chronic back problem which has been present for many years, for example, will need more treatment than say someone who is suffering with an acute injury which happened this week! My general advice is to have a min of 3 treatments, then after those we can assess where you are, this will then help us determine a plan whereby you can achieve a level of improvement which you are happy with. It is important when you do achieve your particular level (this could be 100% or perhaps you are happy with 80%) that we then determine whether you require a maintenance plan. If your condition is going to be constantly aggravated by your job or hobby then it would be sensible to plan a monthly or bi-monthly session otherwise your condition could worsen again. If however your condition or illness was a one off and is not likely to return then this would not be necessary. Obviously all conditions are different and some people will gain a 50 to 60% improvement after just 1 treatment and others will need 5 or 6 before this happens. Acupuncture is a powerful therapy which works with your body to help it heal itself, we therefore need to give your body the chance it deserves to get this process in motion.